When you run buried electrical cable -- for example from a house to a garage or to a gazebo -- it has to be protected to prevent mechanical damage to the insulation. The National Electrical Code gives minimum burial depth recommendations and building codes specify local requirements that you must follow. Check with your local inspector for special regulations, and get a permit if necessary before carrying out any work. 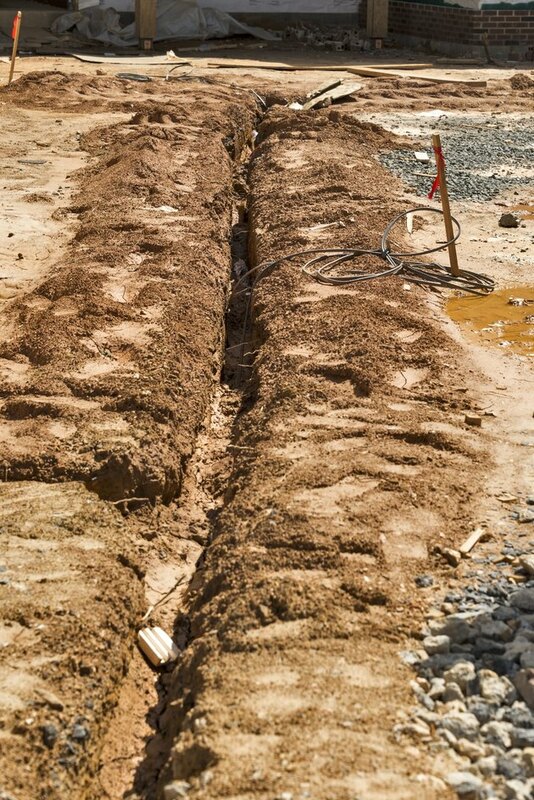 Cable trenches must be deep enough to afford protection against damage. Running underground cables in metal conduits approved for buried cables is the most expensive method, but also the one requiring the least digging. In general, bury metal conduits at least 6 inches below the soil surface. You may also run them at a depth of 4 inches under a 4-inch concrete slab. Under your driveway, the conduits must be below a depth of 18 inches, and under a public road or alleyway, they must be buried below 24 inches. In solid rock, sink them into the rock so the upper edges are 2 inches below the rock surface, and cover them with concrete. Nonmetallic conduits, or raceways, approved for buried cable give less protection than metal conduits and require greater burial depths. In general, bury the nonmetallic conduits 18 inches below grade, or 12 inches if protected by 2 inches of concrete or equivalent. For all other applications, the burial depth for nonmetallic conduits is the same as specified for metal conduits. Underground feeder cables, labeled UF, can be buried without additional protection from conduits because they have a tough jacket designed for burial. Bury UF cables 24 inches below the soil surface, and 18 inches deep when protected by 2 inches of concrete. For all other applications, the burial depth is the same as specified for conduits, except that conduits are required for UF cables in 2 inches of solid rock. 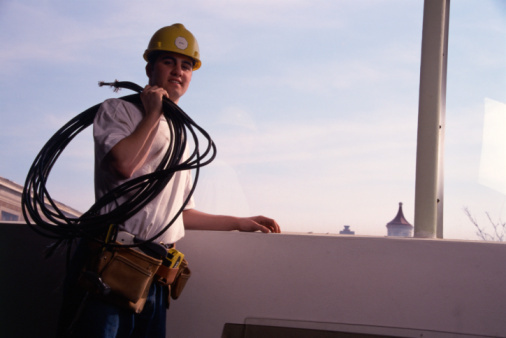 If your cables are operating a 120-volt circuit, protected by a circuit breaker rated at 20 amps or less, and have a ground fault circuit interrupter to protect the underground segment of the cable, you may reduce the burial depth of your cables. The generally applicable depth is 12 inches, or you can reduce it to 6 inches if you protect the cables with 2 inches of concrete. Under a driveway, you may only need 12 inches of burial depth. Conduits are required for installation in 2 inches of solid rock with concrete. These depth reductions apply no matter which burial method is chosen. Control circuits carrying less than 30 volts are inherently less dangerous than those carrying higher voltages and can therefore be buried less deeply. The usual required depth is 6 inches. For all other applications, the same depths as those for buried UF cable apply, except that the control cables have to be buried 18 inches deep under driveways. Is PVC Conduit OK for Outdoors?